If you’re servicing 100 cars a day, how many are you converting to new car sales? Dealerships that sell 100 to 150 cars a month must robustly work their assets to earn every dollar possible. As economics continue to squeeze our margins, no one can afford to overlook opportunities to save or make money. If you’re servicing 100 cars a day, how many are you converting to new car sales? We are converting 20 service customers a month to new car buyers. I challenge you to manage the same opportunities in your service department and do the same. Dealership sales associates get very excited about selling to “maybes”—leads, phone ups, and walk-ins—and ignore the solid business that drives into service every day. It’s big business to help dealers capture new sales from service customers. Equity mining products galore exist that promise to provide the data and technology to bring big-time sales results to your service department. These solutions work well, but why layer on solutions for selling more cars when you probably already own and use the best resource for it, your CRM? But I’ll bet most smaller dealers aren’t using their CRM for this. 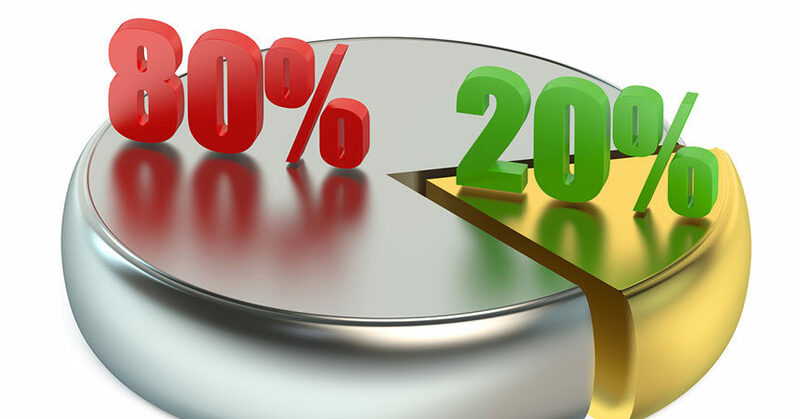 The 20% of your CRM you’re not using can pay the most dividends for your dealership. And I’m not even proposing a new feature, an upgrade, or even new training to help you use your CRM to push more business from it. Here’s how. The lack of internal awareness of this opportunity is stunning. I asked my 20 Group, “What percentage of your service customers did you actually sell?” Only two out of the 19 dealers there had an answer. More than 60% of service customers didn’t buy their car from you. They are at your shop to have their car serviced, but most will never visit your showroom or walk your lot. As for them, you might as well not even sell cars—unless you make a point to inform them that you do. You have to make this drop-dead simple for your salespeople. Your CRM should integrate automatically with the DMS so a customer’s service appointment and profile information is on their salesperson’s work screen the morning of the appointment. Depending on their vehicle’s service history and mileage, customers may be ready to move into a new vehicle. Additionally, an alert should trigger for any of the service customers they sold to so salespeople can re-engage with them when they’re in for service. If associates have to seek out this information or extract if from the DMS, you can forget it. Each morning, have sales associates pull from your CRM that day’s service customers. Identify those customers whose vehicles show higher mileage, age, and—if your CRM interfaces with your DMS—maintenance considerations. Have them set smartphone alarms to remind them each appointment. Visit those customers in the service lounge. Let customers conclude their business with advisors before approaching. Identify yourself—if the customer is yours, remind them who you are. Start a conversation on neutral ground—the weather, sports, or local road construction. Ask what they like about their vehicle—what would they change, or what other model would now fit their lifestyle better? Have they seen the new model of the car they now drive? Move into sales mode by inviting them to walk with you to the showroom to see that new model. Give an informal walk-around. Qualify them by asking about their position in the car—what do they owe and what is their term? Invite them to take a demo drive. The next thing you know, the customer is falling in love. This plan applies equally to service-only customers. Unless you intervene, they may never visit your showroom or consider your dealership and brands—or shop your used inventory—for their next transportation need. Neglect to pursue these customers, and you’re letting sales walk out the door. 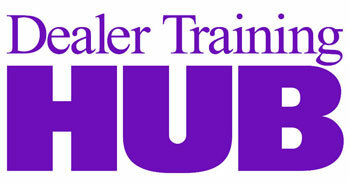 A hungry sales associate will pursue service customers whether they bought their car at your dealership or not. These customers’ service histories may not be accessible through your CRM, depending on their service history with you. Regardless, asking for the pertinent facts—vehicle mileage, customer satisfaction with the vehicle, interests in new or newer models—is something sales associates do all the time. For customers you’re not able to talk to in person, call them. Introduce yourself, and then slip into your selling shoes and take the conversation from there. Unfortunately, not many sales associates will see the advantage in this kind of selling. Too bad, but that’s actually good news for the one or two on staff who are hungry, and know success awaits those willing to knock aside obstacles to reach a goal. Brendan Hurley is dealer principal of Hurley Chrysler Jeep Dodge Ram and president of I-4 Automall in DeLand, Florida, and co-founder of Traffic Control, a fully featured CRM, ILM, and EAM (employee activity management) solution for dealerships that sell 50 to 150 vehicles a month. Visit www.trafficcontrolcrm.com, or contact Brendan at bhurley@hurleycars.com.